Shining a Light on the Rapture - Maranatha! This article is written to bring you comfort, hope, & truth that will sustain you during these troubled times. Here is scriptural truth about the event called the Rapture often referred to in scripture as our Blessed Hope or the Mystery ... this is for every Born Again Believer to be looking forward toward. This is one end time event we can all claim as a prophesied promise to be fulfilled soon. Maranatha! The Second Coming of Jesus Christ - is another event altogether & should not be mistaken as all one event mixed in with the Rapture. Scriptures throughly support two separate events taking place in the End Times. 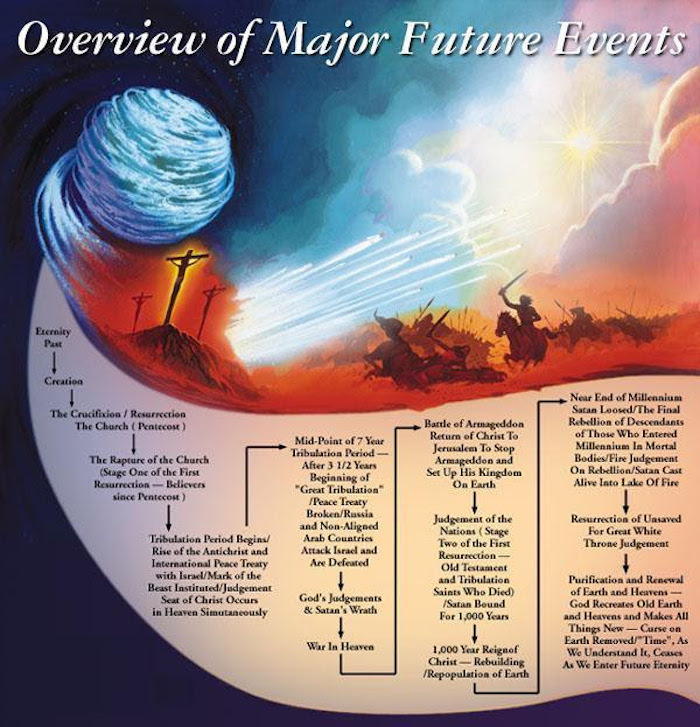 Each event is purposed & directed to cause two separate fulfillments of scripture and prophecy. The Rapture of the Believers (church/bride) is the first event in which Jesus Christ our Messiah snatches away all Believers from the earth in order to make way for His righteous judgment to be poured out on the earth during the Great Tribulation. The Rapture is described primarily in 1 Thessalonians 4:13-18 & 1 Corinthians 15:50-54 Jesus Christ will resurrect all Believers who have died, give them glorified bodies, & take them from this earth, along with all living Believers, who will also be given glorified bodies at that time. This event will usher us into the Kingdom of YHWH God & we Believers will be with our Messiah forever; and we will then be able to partake of the wedding feast, the crowns being distributed, & then returning with Jesus Christ at His Second Coming; His return to the earth where He actually splits the Mt. of Olives as He descends to earth upon the mountain. The Rapture involves an instantaneous transformation of our bodies to prepare us for eternity to be able to live in the Kingdom of God forevermore & in the New Jerusalem. How exciting is that! This is what we ALL yearn for, this is our full inheritance with Jesus Christ & the fulfillment of our calling & our SALVATION. This is our Blessed Hope in real time. The Rapture is to be distinguished from the Second Coming & these are two separate events for two separate reasons. All very understandable & direct in purpose and prophecy fulfillment. Each event ushers in a different purpose according to God's plan & prophecy. To reiterate: at the Rapture our Messiah comes 'in the clouds' to meet us in the air'. 1Thessalonians 4:17 Hence, we note that He does not actually descend upon the earth itself. That decending to earth specifically occurs at the Second Coming of Jesus Christ, as mentioned beforehand. The Second Coming our Messiah, Jesus Christ descends all the way to the earth to stand on the Mount of Olives. BUT again friends, if you do study the Old Testament you will see several occasions in which certain Prophets & Saints were 'translated and caught away' from the earth directly up into the Heavens to be with God. God always confirms truths, so we must take the whole council of God & not just pick & choose our own scriptures. Two examples of 'catching away or translated' in the Old Testament are Elisha & Enoch. Again God does nothing unexpected & always supports everything in more than one scripture or prophecy. So, the Rapture is also with previous evidence of God's works to look at. The Rapture & the Second Coming of Jesus Christ ar two separate events. The Rapture is the return of Jesus Christ in the clouds to remove all Believers i.e. Church/Bride from the earth before the time of YHWH God's wrath. The Second Coming is the return of Jesus Christ to the earth to bring the Tribulation to an end & to defeat the antichrist & his evil world empire & for Christ to set up His Kingdom rule. The Tribulation is the same period of time, which is also known as Daniel's 70th Week, the Time of Jacob's Trouble, & the time of the Seal, Trumpet, and Bowl Judgments.